Announcer: What’s great about the shows you’ll find on JasonHartman.com is that if you want to learn about investing and managing income properties for college students, there’s a show for that. If you want to learn how to get noticed online and in social media, there’s a show for that. If you want to know how to save on life’s largest expense, there’s a show for that. And if you’d like to know about America’s crime of the century, there’s even a show for that. Yep, there’s a show for just about anything, only from JasonHartman.com. Or type in “Jason Hartman” in the iTunes store. Jason Hartman: It’s my pleasure to welcome Jeffrey Grupp and we are going to talk about corporatism today, the secret government of the new world order, so many people believe that the battle is between left and right when I think you’ll find from our discussion today that the battle is at a much higher level than that. And regardless of which side wins or loses, they have set it up so they always win. Jeff, welcome, it’s great to have you on the show. Jeffrey Grupp: Hey, thanks for having me on the show, Jason. Great to be here. Jason Hartman: This book, your book entitled Corporatism has just got a wealth of information. I mean the table of contents has so much detail to it and there are so many aspects to this, it is just an incredibly fascinating and really deep subject that affects every area of our life of freedoms, conspiracy theories, health care, pharmaceutical, religion. Where does it end? My gosh, this is mind-boggling. It really is. Jeffrey Grupp: That’s interesting. Where does it end? Nobody’s ever asked me that and I got an answer. It ends at the level of your soul. In other words your soul can’t be touched because it’s created by God and it’s directly connected to the Holy Spirit at all moments whether you know it or not because we’re in God’s image. But other than that, every other aspect of you, all the layers of your personality consciousness, above that and all the aspects of your life outside of you, around you, this may sound amazing but it’s very, very easy to show and very, very empirical to show that every aspect other than your soul is controlled by just a few big money changers and money and resource controllers in the world. In other words, all the resources you need to survive from day to day are controlled and manufactured not by you, not by your neighbors. You don’t grow your own food, make your own clothes, but controlled by specific people who don’t do any of the work but yet take virtually all the profit of the entire world – any profits to be made over these products and the products are of an inferior nature and they often hurt people such as the grocery store food with all the chemicals and so forth, or lately on the news on nuclear power plants being a great example of how it hurt. That’s strange events where we’re instantly told from the beginning nothing’s gonna happen, it’s not a dangerous scenario, don’t worry, don’t worry. And it gets worse every single day, gets a little worse and they say more and more urgently don’t worry, nothing’s gonna happen. And now it’s out of control and now they’re still saying it. I don’t really understand. Do they want people in Tokyo poisoned? Do they want people in California poisoned? So it’s a strange world we live and to sum up my point where your time and your resources of your life, the resources you need from your life and the time you live through day to day in your life are not owned by you but owned by a monopolistic corporation. And I can explain more what that means, but I’m not really talking about the mom and pop shops, the printing company down the road. I’m talking about the one that control the resources that we all need, not superfluous resources like, for example, a poster that the printing company might create for you, but food, clothing, even air these days cuz of the nuclear disaster that I just referred to and so forth. Jason Hartman: Yeah. So, Jeff, let’s talk about this corporatism, the New World Order. The first part of your book talks about the American educational system in the media, calling it fiat education. Now, just to explain to listeners, that word fiat is commonly referred to in the world of money when talking about central banks and the fact that they create fiat money and the word fiat just means by authority or by decree. In other words, there’s no real value there except because the government and the central bank and the treasury says it has value. What do you mean when you talk about education and media? And this really refers to the brainwashing that the corporate media and educational system controlled by the NEA is foisting upon our culture in making us believe certain things, right? Jeffrey Grupp: Yeah. The word fiat is just an adjective and it means because I said so. So if you say fiat banking, fiat money, fiat education, fiat information, it’s because I said it’s true information is what that would be. So you can use that word to describe anything. And fiat education, I forgot about that section in my book – that’s a really good way to describe education, because if anybody listening thinks back on their life from kindergarten through PhD or however far you went in school, pretty much every single piece of “information” you were taught, the instructor/teacher/professor/whoever didn’t say here’s a bit of information. It is empirical – in other words, you can see it with your eyes and I’m gonna show you you can see it with your eyes. And we believe it’s true because we can verify it in that way. No, that almost never happened in all your 10, 12, 14, 20 years of education, whatever somebody’s gone through. Instead what they say is here’s a piece of information. You will believe it’s true because I said so, and if you disagree and voice that you disagree, either in class or in tests, you will have big trouble getting through the class. According to that test, you could even fail. So it’s a because I said so education, therefore it’s a non-education. Really, that’s why I go around saying over and over to everybody I’m an empiricist, I’m an empiricist – not a scientist, not a philosopher even though I am those two also, but I’m an empiricist because I don’t believe anything unless I’ve had it in my experience. And that’s the only way I’ve found we can know anything whether it’s information about God, information about the world, myself, whatever. Why am I gonna believe somebody’s unverifiable accounts when I can trust my own verifiability that I have within myself, what I’ve been given. I mean I’ve been given senses and experience for a reason. These are information trackers. Jason Hartman: Right. But in a world as complicated as it is today, none of us can know even close to everything we need to know to get along in life. We have to, for better or worse, trust other people and other entities because it’s just a very complex life that we lead in modern society. 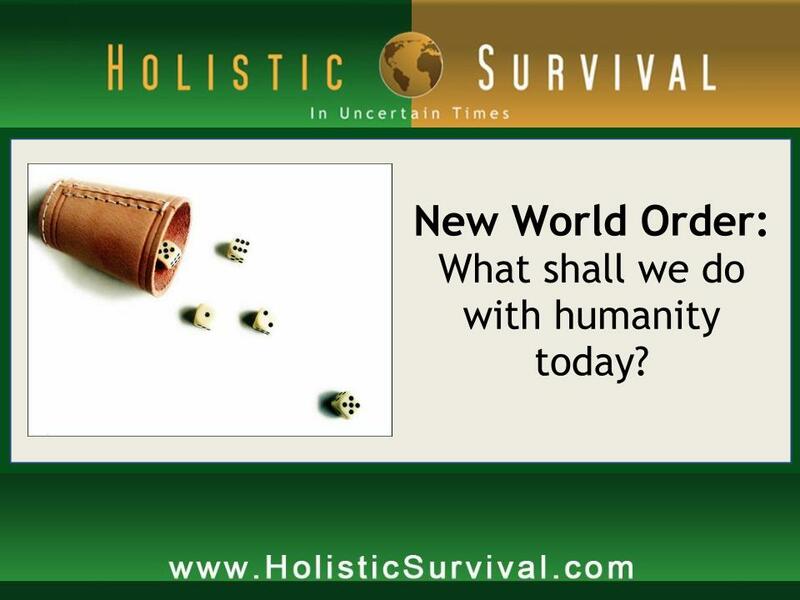 But what is the new world order? I mean I’ve heard people say that there are 12 families that run the world for example. And the President of the US isn’t really running things. That’s a puppet and certainly with Obama it’s starting to look like that or, I don’t know, I guess with Bush it looked like that too. There’s not much difference. Just stick a different label on them and a different personality. But what is the new world order. I mean, really, what is it? Jeffrey Grupp: People have said it’s 12 banking families and so forth, and that may or may not be true. I can’t really verify if that’s true, so I tended to not address that issue. What I can verify as true, however, is that all money transactions are centralized just to a few groups. For example, to refer to what you just said about Obama being a puppet or Bush being a puppet, if you just go track what Congress does on 9 out of 10 days but they’re discussing something, it’s usually some big money issue, some monopolistic corporation has an issue at stake and they are discussing it – not issues for the people, they’re not discussing how do we end the burning of the rainforest which provides 30% of the world’s oxygen, how do we get the Americans out of poverty? I mean real solutions to that. How do we do this and that? How do we lower the salaries of people in Congress and raise the income of people in America? None of these issues are discussed. It’s always some huge corporate issue and that’s because as almost never discussed among Americans, Congress is lobbied. So this is an example. Jason Hartman: I’d like to get rid of the lobbyists and the unions, well at least the public unions because there’s no one representing the taxpayer unfortunately. But the lobbyist, my god, that is just legalized criminality. It is unbelievable what goes on with lobbying, I mean just crazy. Jeffrey Grupp: Well, the average person has no idea. I mean the good guys that you see on TV like Rand Paul and so forth, these people every single day are being approached whether they’ll tell you about it or apparently not tell you about it on TV. They’re being approached daily with huge stuffed envelopes full of money with people saying I want you to pass certain legislation and here’s some money to do so. So tell me then how much does your vote mean in that kind of a scenario? It means absolutely zero. So what does create laws and debate in congress is money. Where does the money come from? Well, you gotta trace that all the way back up to the huge banks. Federal Reserve is sort of a bank, not really, but it’s a money controlling enterprise. And then there’s entities in the world above that, the World Reserve Bank and so forth. That’s where the power comes from. And anybody who thinks that Obama has anything to do with anything, Obama’s just a paid actor. That’s not a funny comment, that’s a serious comment. Jason Hartman: I want to laugh, but it’s so sad it’s true. Jeffrey Grupp: He’s no more significant than Brad Pitt. That’s why on Fox News if they want to have a serious issue like vaccines or something they want to talk about they’ll bring Bono or Oprah on the show. Jason Hartman: Oh yeah. They’re highly credible. I mean you know these movie stars – it’s unbelievable. Jeffrey Grupp: So that’s just one illustration to show that the average person’s conception of how reality is structured has absolutely no empirical basis at all. The average person thinks that Congress should be a representative or they’re kind of representing us and we need to get them to represent us more or something. None of this is relevant no matter where you fall in this spectrum of how much you think they do or don’t represent us. The simple fact, the empirical fact is they represent big money and you can just use your own eyes and go see what they’re doing to verify that. So therefore, the government that we have is not really the government. What the new world order is, to answer your question, behind the government are certain powers. They go by the names of WTO, World Trade Organization, or CFR, Council and Foreign Relations, World Health Organization, WHO. Another one is the World Bank which actually has entities above it, if you trace the way money works in America, the United Nations another one, these actually control the behavior to the core of the United States government. And Americans I guess aren’t just paying attention, so they don’t know that this is going on their news, the news media, the standard news media, the big state networks like Fox and MSNBC and NPR and so forth, they won’t voice any of these issues. Jason Hartman: Now, wait a sec. It’s interesting you didn’t say CNN, the Communist News Network in there. Jeffrey Grupp: Well, I didn’t get a chance to. Jason Hartman: Okay. But you lump them in the same. In other words, are you saying all of this big, corporate media is basically doing the bidding of the new world order? Jeffrey Grupp: Yeah, there’s a wonderful book called The New Media Monopoly by Prof. Bagdikian who used to be the chair of journalism at Berkley. I don’t know if he got fired or something for his book he wrote because I don’t think he works there anymore, but he outlines in empirical terms wonderfully how what we view as the mass media is a complete fabrication. But the mass media, to put it as simply as possible, is just about maybe 10 to 15 companies that hugely work together and are collaborated together, and they’ve almost formed one big company since they’re so highly partnered, that control every single bit of information on the planet, whether it’s a logo on your shoe, a TV show or news show or Hollywood film or newspaper in Thailand, a billboard on the highway and so forth. So people have no idea. For example, News Corp, which I’m sure you’ve heard of – Rupert Murdoch owns that – here’s how bizarre it gets. News Corp owns about half the media in the world. That’s how big this company is. They, for example, own the biggest pornographic magazine in England and, Jason, you’re gonna like this, they own Zondervan Publishing, the bible publishing company. Jason Hartman: Talk about controlling both sides of the equation, huh? So if people get really pious, they’ve got that market. If people become really base, they’ve got that market too. Jeffrey Grupp: It’s almost an absurd joke really. They can create wars. They’ll have Fox News in some part of the world will say Americans are bad. Fox News in America will say those people are bad and so they can start fighting. They can start a war if they want and we know that these wars are basically, the ones that we’re in Libya now. And I don’t know if you know this, Jason, but Libya started on three-nineteen and the second wing of the Iraq War in 2003 started on March 19, the same dates. A lot of weird things go on like this. But these wars were basically pushed by the big mass media powers. And they’re the ones profiting off of it. They’re the ones being paid by the big military style corporations out there, have the Halliburton and so forth. But the real government are these huge corporations. They’re the ones behind all this money power. It’s basically like the big banking and the big resource controlling corporations are teamed up together to control all governments and all media and all education because education is also corporate as anybody who’s going to buy college textbooks or you see what your science professor at Purdue University is really doing his research on – he’s doing corporate research. You all know this is true if you if you just look at it carefully. Government powers have nothing to do with anything. I’m not really sure why people don’t put this together. They have endless hope that the system works and they’re gonna keep hoping and hoping until it’s too late it seems. Jason Hartman: Well, that’s how we’ve all been educated. We were taught to believe that we have this wonderful system. And comparatively thinking, we do I think. But, boy, it’s not what you think it is. So take Libya for example if you would. I mean this looks like a really evil dictator and a human rights problem. Jeffrey Grupp: They always make it look like such a huge we gotta go in or else we’re horrible people for letting everybody die and you find out later it was filled with lies and deceit and we’re in there killing civilians and the problem that we were told about wasn’t even really there and so forth. Jason Hartman: Tell us more about it. I mean you talk about the secret government and the visible government. And you’ve touched on that a little bit already, but tell us about like the planned failure of the visible government and maybe even mechanics of the secret government in terms of how it works. That’s very interesting. Jeffrey Grupp: Oh yeah. Let’s just be flat out here. This is conspiracy theory what we’re talking about. Anything that is in disagreement with big education, big churches and big media all tend to agree sadly, is that’ll show you how off track big churches are and how off track all the groups are. Now, anything that’s outside of the set of 40 or 50 ideas or whatever that those groups hold are considered conspiracy theory or bizarre or wacko. Jason Hartman: And they always marginalize those people like they’re such a bunch of wackos as if the concept of conspiracy has never existed before in human history and anybody who believes that there is a conspiracy is crazy, right? It’s ridiculous. Jeffrey Grupp: Hey, what can we go verify is true? They even throw anti-war protesters into the wacko. I mean it’s really the media speaking alone. I mean the majority of America, if you go to pollingreport.com and look at the recent opinion polls on should we invade Libya or not, 65% of Americans were against it. Jason Hartman: What’s the website again? Give the website again. Jason Hartman: Polling Reports, okay. Jeffrey Grupp: That’s just simply a place where a lot of the opinion polls through the decades are catalogued, I think almost all of them. It’s a good place to go look up statistics and so forth. I do it frequently. But you find out that the mass of Americans, the majority was against invading Libya. So on CNN, NPR or Fox News, why didn’t they say that? They say Americans are so behind us but the polls don’t seem to indicate that that’s the case. I mean, Jason, that example right there almost seems to indicate that there’s a coordinated plan across media to tell people wrong information for some pre-established plan to happen. Now I say pre-established, I mean Zbigniew Brzezinski, who a lot of you know, he’s top presidential advisor to 5 presidents. He’s on Fox News and so forth all the time. He wrote a book called The Grand Chessboard which basically outlined what America’s going to deal with 15 years ago. He said first we’re going to invade the Bosnia region, set up bases there. And then we’re gonna use it as a platform to go into Afghanistan and Iraq and Iran and Syria and Libya and so forth. Long story short is the conspiracy theory is real. It’s the most empirical account of reality. It’s amazing that this is the case. But everything we’ve been told about a random social world in unplanned politics and that politicians have the power, all of that’s just wrong. There’s a secret group which you can easily verify the existence of, again go follow the money, they’re there, and they control the social world amazingly. Jason Hartman: Hey, we’ll be back with you in just a moment. Take a listen to this. Jason Hartman: You know, if you love audio books as much as I do and you love making your automobile or the gym or whatever, but especially your automobile, a rolling university, then you’ll love Audible.com. I’m a user of it. I buy books every single month from Audible, and they’re available through my membership. So it’s a great thing. You can get a free trial by going to AudiblePodcast.com/HolisticSurvival. That’s AudiblePodcast.com/HolisticSurvival. Make learning a lifelong endeavor. Jason Hartman: It seems as though nowadays people really are starting to question a lot of things and people get it. I don’t know – Maybe I just didn’t notice it before or I was just too young to notice it, but in the past it seems like people went with flow more and more cohesive if you will. And nowadays there’s a lot of people that understand the central banking myth and the scam that is being portrayed. And a lot of people really do believe in this new world order type of scariness. And I attribute I guess most of that really to the internet and the fragmentation of media. I mean why would these folks, that run the new world order, even allow the internet to exist? That’s amazing. Jeffrey Grupp: Jason, we have to answer that question. Let me, first of all, very briefly, I failed to answer the remainder of your question, the planned failure. What the planned failure of government policy is there’s two layers of government: the visible one that people see on TV and then the secret one, to put it as simply as possible, the huge corporations of money behind the visible governments. The visible governments write policies that deliberately fail. I mean Nixon had a war on cancer, it failed and cancer escalated. George Bush Sr. had the war on drugs – it failed after billions were pumped into it just like the war on cancer. And then the drugs escalated all over the place. And then George Bush Jr. has the war on terror. That’s obviously a failure in terrorism. It creates terrorists. So those are three good examples. But if you actually look at the average day to day mechanics of the visible government, it functions in this way. It’s a planned failure where they say oh that’s too bad that it failed. But the failure happens to by, wink-wink, some coincidence, always take power from the people and put big money in terms of the same group, the secret government behind the scenes. It’s an amazing scenario. Who would have ever suspected it? And I know a lot of your listeners are like I have to go check this out. And yeah, you really do have to look into this more. It’s such an amazing issue. But if you look into it, this is exactly what happens. Libya will fail, Afghanistan failed, Iraq failed, but they just happened to put money into the big corporate military operations which are part of the new world order, the money behind the throne. Jason Hartman: Yeah, no question. And they always establish somehow some big new bureaucracy that restricts our freedom even more that it was already restricted. Jeffrey Grupp: But your other question, Jason, is absolutely the heart of the issue. And the political world, whether it’s conspiracy theory or the Glenn Becks or any of these groups, they don’t understand this point that I’m about to say. And it’s connected to the plan failure. There’s two things responsible for creating this utterly huge political resistance and conspiracy movements which is emerging all over the world. I was just in Croatia to be on television for my corporatism, and trust me, conspiracy theory and political revolt is much, much greater over there. Here it is nothing compared to what is over there. And you think about it and you’re like “Wait a minute.” If there’s really a danger to this secret system, if it’s really out there, as I’m saying it is empirically verifiable, why would they let it exist? Why would they basically give rise to the internet which allows it to be. And furthermore, the whole conspiracy movement which is really becoming the biggest political revolt movement was created by the corporate and new world order mass media because it came out of people questioning things they saw in the footage of 9/11, people questioning things they heard in the mass media about the JFK assassination. The mass media is pushing every night on the history channel and so forth things like the Roswell crash. So the mass media is actually creating this and they give us their internet in order to do it. So something very mysterious is going on. So let me tell you what this is. And this has been something I’ve been working on. I have a whole book called The Invisible Government that I’m working on which is about this issue. I don’t know if it’ll ever get published or not but I’m working on it. And it goes as follows. Let me sum it up very succinctly. We’re usually told the world operates in certain ways, the business cycle, the rise and fall of nations, blah, blah, blah. Let me tell you another cycle that you can observe. It’s called the new world order wants the new world order to fail. We need to think of the better name but that’s the one I have for it at the moment. And it goes as follows. The world through the mass media system is told about a certain aspect of government or the system that they think is in control and it’s portrayed as absolutely horrific – example Hitler, example Saddam Hussein, example Gaddafi. I thought this was going to happen to George Bush but it didn’t. So the mass media tells the world about a savage killer or something and then the world supports going in to attack it. And then the attack turns into a huge bit of chaos and then new policies come out of that which coincidentally, wink-wink, just happens to help this money behind the throne called the new world order controlling system that we’ve been discussing. The new world order is this big system we all live in – it’s got a few controllers behind the throne. Throne is a figurative word for government. World War II is a perfect example of this. Point is this is how the world operates. Cycle through cycle, it can happen to big, huge global sized cycles of this planned failure such as World War II when the whole world’s involved, or it can be localized. Like the Iraq War was a planned failure. Or there’s other little smaller examples like the war on drugs, another planned failure. Okay, so it can even get more microcosmic than a war for example. So the point is, however, is that the people are tricked into fighting against something or a certain result comes out of it that was preplanned in advance. Now, this is very conspiratorial and so some of your listeners may or may not like this, but please forget the label as conspiratorial, this is simply the empirical. So going back to the example of World War II, what happened was all of a sudden magically Hitler comes to power, he supposedly got 40% of the vote which was the majority – we know that the common person doesn’t count the votes in elections in America or anywhere else, so I always wonder why things are always so murky and invisible when elections around the world happen. And we know that happens here too as Bush/Gore in Florida 2000 illustrates. So anyways, Hitler gets the power, Germany is in the toilet – it’s the most impoverished western nation. And in four short years, Hitler brings it to utter superpower status. Later we find out that Rockefeller Oil, Ford Motor Company, IBM, and other huge monopolistic American corporations were feeding it. Well, IBM wasn’t monopolistic yet – that was later. But they basically fed Hitler incredible amounts of money, brought him to power. Hitler sets up camps, throws Jews in, does his deal, the world is informed of this threw the mass media and everybody says attack, attack, attack on the mass media so that people get behind it and then an attack in Pearl Harbor happens – which even the History Channel will tell you – FDR knew about well in advance and did nothing to prevent it because he’s recorded on tape apparently and text of saying we needed a reason to get fired up to go to war against this evil superpower that’s emerged. So I guess death and murder is his way to do so. It’s easier than simply lying. It’s amazing if this is all true. So therefore, the worlds are tricked into attacking this one devilish entity they’ve been informed apart, mass chaos ensues, and then out of it amazing new policies come out. What came out of World War II? United Nations was set up, the Pentagon was setup on 9/11, 1940 I think it was. Truman’s mental health factors a few things that govern our psychology, our day to day life, the way we view ourselves and each other in Truman’s Mental Health Act which hardly anybody knows about this, that was a direct result of World War II and a whole bunch of other things. So the chaos ensues. People are tricked into attacking the system that the new world order masters set up. And then out of that madness comes the world they are intending to set up. Again, that’s a global example, but if you look carefully, this type of mechanism where the new world order sets up a planned failing aspect of their new world order system – new world order just means the money behind the phone again – that happens in huge global examples or microcosmic examples way down to just a Mayor Dailey is a failed mayor or something like that. So it’s an amazingly sophisticated system how few people understand it, but it’s completely empirical. You can verify the existence of this globally anywhere. Jason Hartman: Unbelievable. It’s just unbelievable. And I just looked up Truman’s Mental Health Act, yeah, July 3rd, 1946. Talk about moving quickly, huh? This reminds me of a concept of controlled opposition where like the same people that fund major news organizations also fund Michael Moore and really what you’re hearing from is I guess nature pours a vacuum, doesn’t it? And so when there’s a vacuum, things that the powers that be cannot control will fill it. And they would rather fill the vacuum themselves. So what they’re going to do is set up controlled opposition that they can pull the strings on and set up the conspiracy theory for themselves, right? And then there isn’t a vacuum there because that will keep people busy. The certain side that gripes about this will be over there or the other side that gripes about that will be over here. And that will solve their problem. It’s better than leaving a total vacuum, right? Is that the reason? Jeffrey Grupp: Let me tell you what I think the reason is. It’s related to what you said. But I assert that if I had the time to show you it is empirically verifiable that the powers behind the government they are a satanic force. And this may sound fantastical and extraordinary but is empirically verifiable. And the reason that they have full control, all empirically verifiable, go look at how the government is responding to Japan about the nuclear crisis and the earthquake – they’re just simply going and saying find out what the United Nations is saying. They’re not asking what the people of America want to do. They asked the United Nations, and United Nations is not a group or a place where all the leaders of the world get together to talk. That’s only one thing they do for television cameras a couple of times a year. United Nations is a bunch of secretive groups and committees and so forth that almost nobody has any clue about which is creating a world policy. So, back to my point, the satanistic nature of whatever the nature of this group is is to create a world of pain and madness and for their pleasure. This is a very detailed topic which I did a whole 3 hours film on and I’ve done dozens of hours of radio broadcasts on this and so forth but, to sum up as quickly as possible, it’s hard probably for many to understand this but it’s in the bible “Satan is the God of this world” sadly. For some strange reason, that’s how this part of God’s universe turned out for some plan that few of us can really understand with our little human minds. But none of this makes any sense, all this bizarre planning of a world filled with poverty and pain and confusion and unhealthy food and war and so forth. But it all makes sense – you can go through it point by point by point or I could say in one sweeping comment it all makes sense if you understand that there’s a small group of some bizarre nature controlling everything. They are satanic and they are creating this incredibly dark world for sadomasochistic dark pleasure. Jeffrey Grupp: It’s for spiritual euphoria. Humans are infected with this. I don’t know how it happened because we’re created by God but somewhere along the line we became distorted. When a serial killer does a dissection ritual, it’s been reported many serial killers they experience a sort of high, literally like a drug high or euphoria. Why in the world, Jason, would that be the case? I mean even if you’re a Darwinian or an evolutionist or something, that doesn’t make any sense, let alone if you’re the opposite perspective and you’re a Christian and hold that you’re created by God a couple thousand years ago, as I hold, something really bizarre is going on here. So the point is that it’s kind of hard to explain quickly, but let me give it a try in 30 seconds here. Humans on this planet are infected with dark, sadistic joy. Football fans get most fired up when there’s a monster football hit. The more monstrous the hit, the more “Oh yeah” they are for example. And sit back and think about that. Of all the things we could get, we’ll experience a mild little high if we’re looking at ourselves carefully, see how we really feel. It’s like we get a little high off that, real teeny. Warriors, soldiers in war, will report amazing stories of how the war itself, the heat of battle the madness of battle will put them in a spiritual euphoria, a dark euphoria of some sort. Jason Hartman: Well, I don’t think that’s really that crazy in a way because people under stress trying to achieve something, you experience a high with that, the victory in the game, the thrill of the fight. That’s not that weird, is it? I mean that’s not that dark really necessarily. I mean you know you experience it. As weird as it sounds, right, in war there’s a certain amount of camaraderie for sure – your friends on your side on the battle field, you want to win, you want to save your own life, you think your cause is just – I mean they’ve hypnotized the soldiers into believing that of course regardless of what side they’re on. Standing in their shoes, you can understand that, right? Jeffrey Grupp: Maybe you’re correct but I personally don’t agree with that point. I’ve got a lot of soldiers who are students in my university classes and I get lots of good inside pictures of what war is – I’ve been talking a them through the years – and it sort of backs up what it has said, but also something else that most soldiers are afraid to fight. You can read a lot of sociological accounts of soldiers, World War I/II, Korean War, Vietnam War and so forth, and it’s almost like they have to be tricked into fighting. Many of them, a huge percentage of them don’t want to do it, which kind of makes sense – I mean who wants to go over and kill somebody you don’t know and put your own life at risk for some cause you don’t fully understand unless you’re really tricked or something. And even in situations where the cause is painted into you – let’s go fight Hitler who was funded by Ford motor company for example – if you don’t know the Ford motor company aspect of it, you think there is a real danger. Even in that case people have to be largely pushed into fighting. I just find it strange that a sadomasochistic pleasure sort of similar to the serial killers seems to emerge in very specific cases. I mean if I’m watching the World Cup soccer match, I mean just looking at my own inner psyche, I will get fired up and want everybody to win and so forth, but if I’m examining my inner feelings carefully, if I see a monster football hit, this is more back in the day when I used to watch football and so forth, I get a much more energized feeling in me or something which seems strange that it’s so powerful. Now, most people won’t see this unless you’re sort of looking into yourself when it happens, but it’s more than just all the guy scores the winning goal for the World Cup. It’s a different, more sharp kind of little inner high which is sort of a small window into what could be a greater aspect of reality which is for some reason we’ve been distorted as humans to sort of go along with and take part in a dark ritual that this world seems to be under the cloud. I mean you read through history, the Mayan kings, their main job was sacrifice. Now you have the leaders of the world now, their main job is sacrifice – we just call it war now or civilian casualties. Over and over and over, why is it so hard to find a single example anywhere of a politician or government leader that’s really in control, supposedly in the power position like Obama being a president or whatever? I mean find the last time anywhere somebody like Gandhi was in that kind of position. Now, some people say oh it’s because the scoundrels get attracted to that position and that may or may not be true, but you would seem to have simply a single example somewhere where bloodthirsty scoundrels are not in control. I mean the whole continent of Africa is an unfathomable nightmare, I hear 20 to 30 million dead African people because of AIDS and that’s virtually non-existent on the US mass media as they talk about American Idol and so forth. It’s just strange how this all works. Jason Hartman: Yeah, it is. But, listen, Gandhi isn’t that much of a hero either. He did some really bad things. And let me tell you, one of the worst things he did is he suggested abstinence and look what happened to India’s population, all the misery he caused. He put that country back into the stone age practically, and I’m sick of people calling him a hero because there are some great things about him, the passive resistance thing and all that is awesome. Jeffrey Grupp: Which didn’t work by the way. Jason Hartman: It sort of didn’t. One of the best things that ever happened to that country, believe it or not, as weird as this sounds, as perverse as this sounds, may have been Britain, because they speak English and they got organized. And as tyrannical as that empire was, and there’s a lot of tyranny throughout history, they organized a lot of the world. And I’m not defending them. I want you to understand that. I’m just saying some good things came out of it. So I hope I don’t get a bunch of emails off that. But hey, Jeff, we gotta wrap up here but I want to ask you a question. What is all this stuff leading to? People have talked about these FEMA camps, you talk about the Halliburton KBR, I don’t even know what KBR is, detention camps. What’s the real dark endgame here for these people? Jeffrey Grupp: KBR is just a subsidiary of Halliburton when Halliburton was still here in America. The news came out with lots of stories about how huge detention camps were being built for quite a few years, started in the Clinton administration but really got moving in the Bush administration – apparently still going on. There are all these camps all over the place, which it’s kind of like when the Nazis were ruling camps before World War II really got moving and the holocaust really got moving, nobody really asked why they’re building them. I’m not saying that’s what they’re doing here, but the governments came out and answered the question why they exist and they said well in case there’s a mass immigration or a natural disaster, we have a place to move people. But unfortunately that happened, Hurricane Katrina, and they didn’t use them until much, much, much later and they barely used them at all when they did. So what are they really for then if they’re not even using them for what they said? So I don’t know. Maybe it’s all nothing. Jason Hartman: I mean are we looking at martial law and what would be really the point of that? Like what would they get out of that? I mean don’t they want people producing value in the economy and creating goods? I mean that’s good for them, right? They’re money people. Jeffrey Grupp: If that were the case, then they’ve got a whole workforce in South America, The Middle East, Asia that they could put to work, homeless people all over America and so forth, that the system actually creates. So the system is not about creating a huge labor force for more and more profit. It’s about creating more and more poverty and confusion. If they were interested in pure profit, well they print the money. They could just print more money and rig inflation and scenarios and so forth as they need to since they control the interest rates, they control the printing of money. If you control both of those, you control the world’s economy. When I say they, I’m just talking about the federal reserve and others involved in there, it’s not some mysterious they. The reason the world is the way it is, such a strange place of poverty and war and confusion – and that’s really true, it’s hard to keep track of this when you’re in TV America and you’re watching Seinfeld with your news broadcast that won’t even report the 25 million dead people in Africa, it’s hard to remember that there’s homeless people walking around outside of you and the world is the mess that it’s in. Because I picture the world is painted by our TV images mostly to some degree it seems. So, again, it falls back on there’s some other force for creating the world as the way it is. If this is really true, there’s this one group behind things, to answer your question where are things heading, my answer would be wherever they decide it to go. And I’m not exactly sure where that’s gonna be. Jason Hartman: Yeah. Very, very scary stuff. Well, hey, Jeff, tell people where they can get the book. Jeffrey Grupp: Oh, you can just go to Amazon – that’s a good place to get it – or my website, AntimatterRadio.com – it’s a little cheaper there than Amazon, either of those. I think you’ll like it. 800 footnotes, everything’s fully documented. Jason Hartman: Yeah, it really is. It’s an academic work and you’re an academic guy. So I’m really looking forward to digging into this. It just looks fascinating. This is a heavy well-documented book. We’re looking at over 400 pages here. And it’s not short on words. I mean there’s a lot of content here. So I can’t wait to dig into it – it’s fascinating to me. So thanks for being on the show and joining us and anything else you want people to know in closing, Jeff? Jeffrey Grupp: No. I just want to say I’m really happy to be on your show and I hope everybody enjoyed our talk. Jason Hartman: Alright. Thanks so much for joining us today.